Roger Federer was one of the top contenders to win the season’s first Grand Slam at Melbourne Park this year, but the ease with which he steamrolled past his opponents did nothing but further strengthen his legacy as the greatest tennis player of all time. Whenever he was on court, he played like a player who had something to prove to the world, despite the fact that there is nothing that can dethrone him from his superlative status in the game. In 2002, Federer was touted to win both, the French Open and Wimbledon, on the basis of his superb form, but astonishingly, he was knocked out of the first round of both tournaments. This raised questions over whether he had it in him to bear the weight of the expectations the world of tennis now had from him, but this did not prove to be a stumbling block, as Federer’s career went from strength to strength in the coming years. 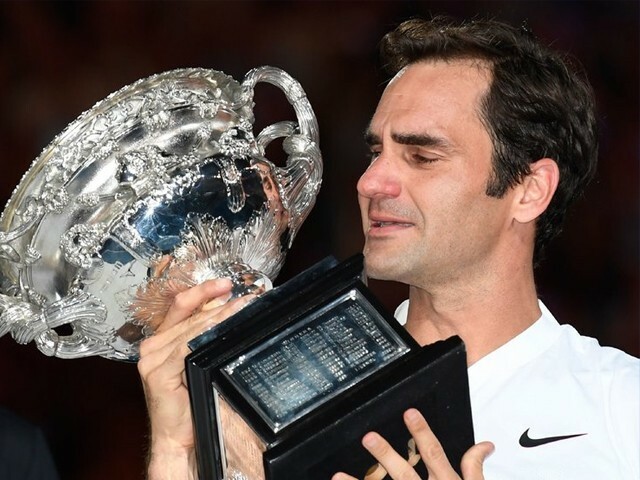 Sixteen years later, now at the age of 36, Federer is still going strong, as he added another feather to his already illustrious career by winning the Australian Open for the sixth time. At the beginning of 2017, when Federer had made a comeback into mainstream tennis after a six-month injury lay-off, he was no longer considered an out and out favourite at Grand Slam events. However, despite being the “underdog”, he exceeded all expectations and has since won three out of the last five major tournaments. The Swiss maestro now has 20 Grand Slam titles, which seemed like an inconceivable idea only a couple of years ago. Add to this the fact that there was a time period where he went five years without a single Slam, making this achievement even more remarkable. In Federer, young tennis players have a great example of a person not throwing in the towel despite walking a tightrope. He hung on when Rafael Nadal got the better of him in his prime; he managed to survive when the athleticism of Novak Djokovic proved too much for him, while also weathering the rise of Andy Murray. Amidst all this, there is the common denominator of continued perseverance and love for the game, which has ultimately ascended him to new heights, regardless of his age. 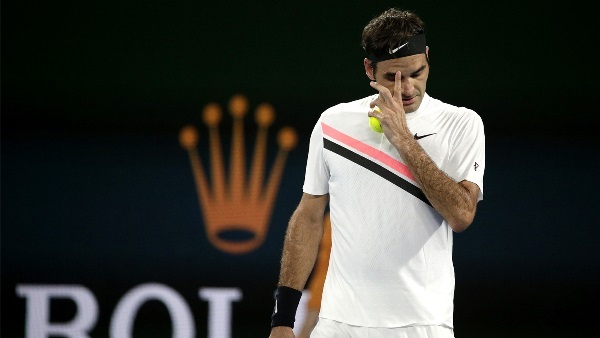 Just when people had started to write off Federer again, leading to constant debate over whether or not he should retire, the great champion showed us once again that his will and desire to succeed at the highest of levels will conquer us all, while also sending a polite warning to those who thought he had nothing else left to offer. During the time when he fell off the grid for a few years, Federer worked on his game to further improve his backhand, while also opting for a bigger racquet head to add more power to his shot making. Although it took some time settling in, as soon as things clicked into place, he quickly regained his old form and flare. For a player who has stressed on the importance of improving his game throughout his career, it was great to see him carve out a way to counter the odds. A potential Nadal-Federer final was the talk of the town heading into the tournament, but Nadal’s early exit at the hands of Marin Cilic, which was also partially due to injury, was like a right hook to the jawbone for fans who were eagerly waiting to witness this epic clash. After Federer’s resurgence in 2017, the Swiss entered the tournament confident in his skin. With his greatest threat, Nadal, eliminated early on in the tournament, it was fairly unlikely to see anybody other than Federer lift the Norman Brookes Challenge Cup. 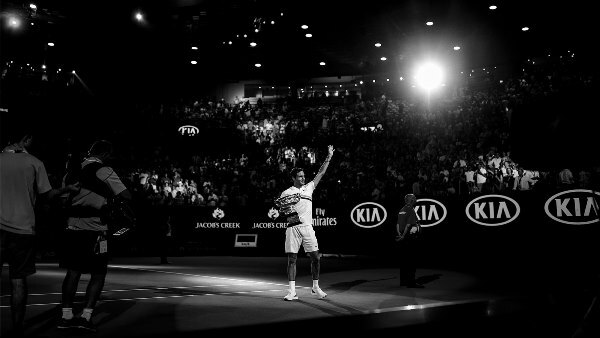 Federer seemed to be in impervious form throughout the tournament, and at no point showed signs of being out of sorts. This is evident from the fact that he did not drop even a single set before reaching the final. In nearly every match, Federer dominated his opponents’ right from the outset, and ensured that at no point did he allow the player on the other side an easy breathing space. 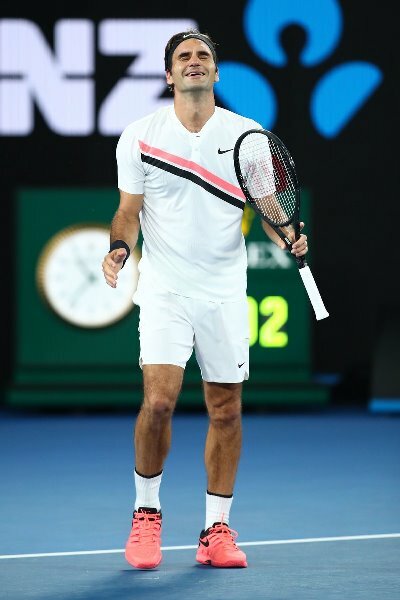 His effortless shot-making, cascading with charisma, left the largely pro-Federer crowd in complete awe for large parts of the game, which consequently proved pivotal in making his run to the final seem like a walk in the park. 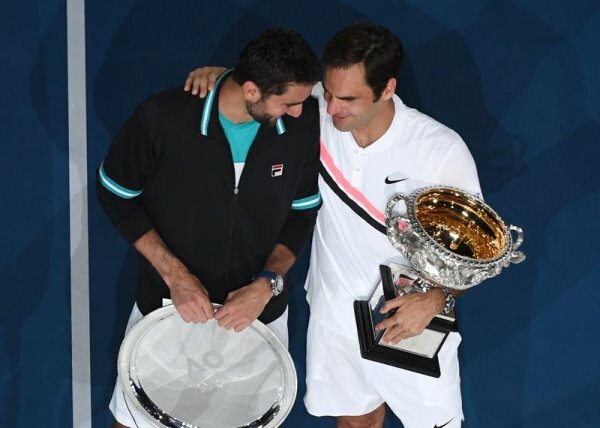 Cilic took the battle to him in the grand finale, but Federer had enough mental strength to ride it out and emerge victorious in yet another Australian Open. While the Croatian had a fantastic tournament, he got taken down at the final hurdle by a far greater player. Federer’s on court interview after the final was particularly emotional. Although he always tends to burst into tears after Grand Slam finals, this time it was particularly intensified. This might be an indication of the fact that it may well be his final year in tennis, with the 2018 Final being the final appearance of his professional career at the Rod Laver Arena. Having said that, because of Federer’s track record and his uncanny ability to spring a surprise just when we least expect it, I would not want to quickly jump to conclusions regarding his career. With many of his top rivals struggling due to injuries, Federer should fancy his chances of adding more silverware to his tally over the course of the year. 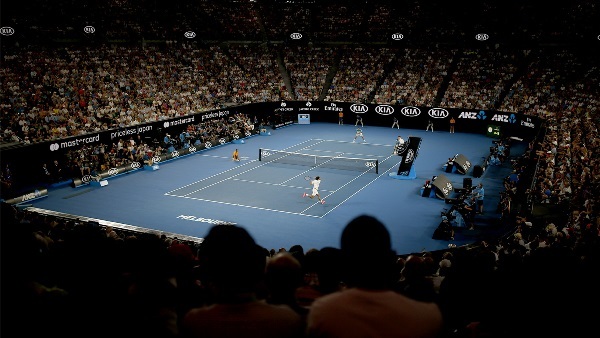 The Australian Open won’t return for another year, but we can rest assured that we are in for yet another enthralling season of tennis. Federer may have drawn first blood at Melbourne, but the rest of the top players on the circuit will be keen to up the ante. For now, it is clear that as the season progresses, they will surely have a mountain to climb in presence of the Swiss star and the reigning champion. For the life of me, I thought he’d retired.